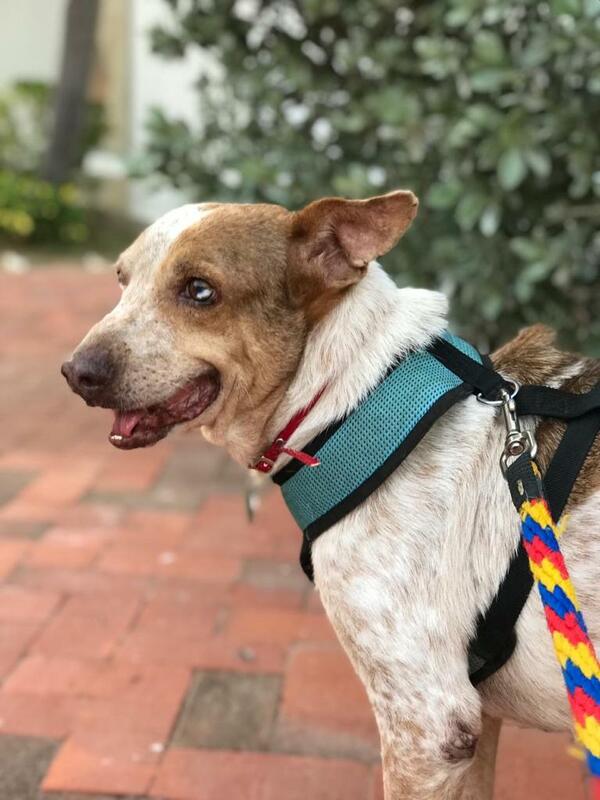 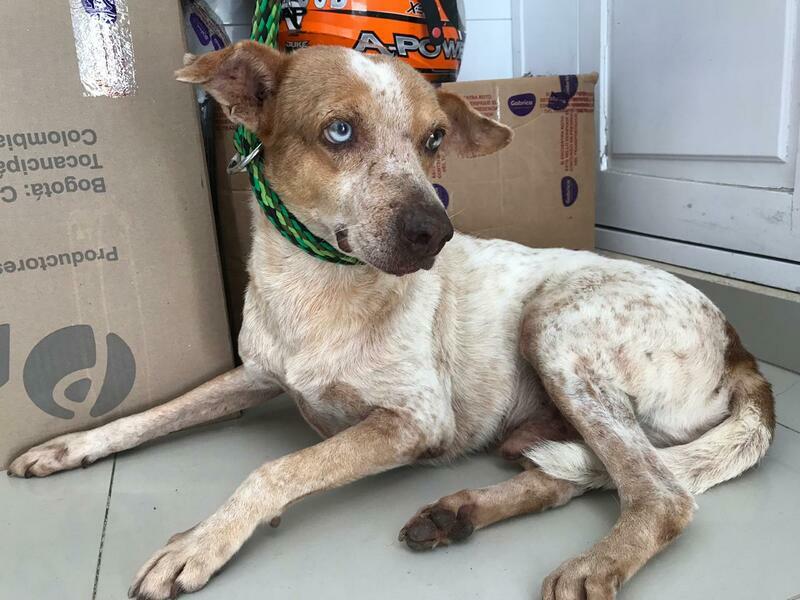 Gabe was rescued in Plaza Trinidad back in December 2018 by some amazing tourists visiting Cartagena. 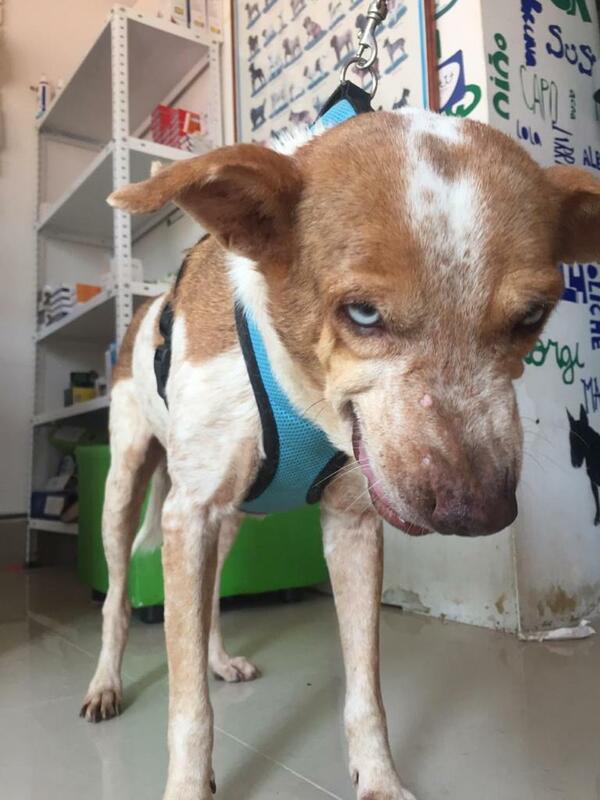 Gabe was an older male dog who had spent thousands of days pacing the blistering hot streets of Plaza Trinidad in search of food or shade. 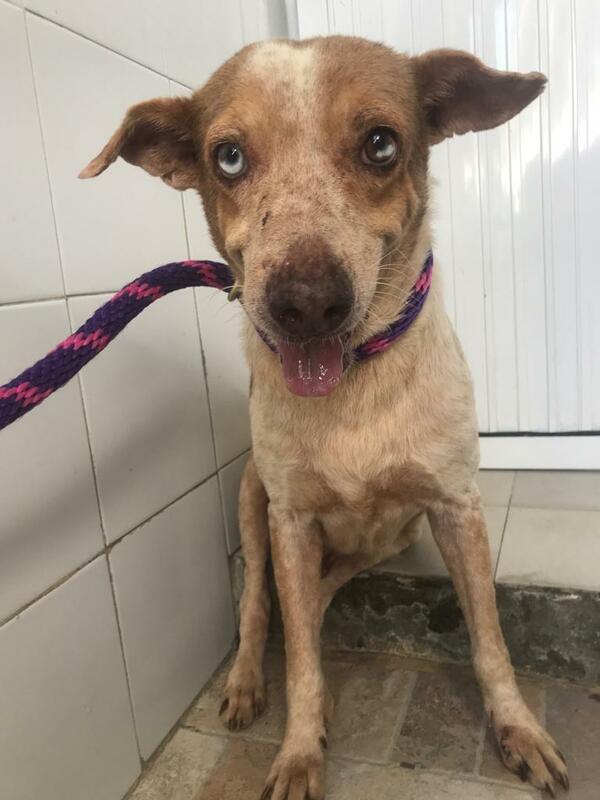 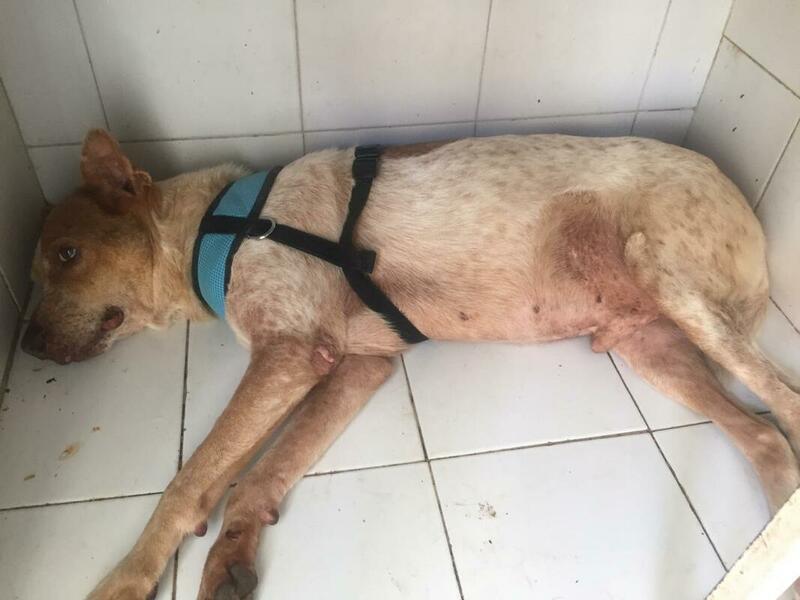 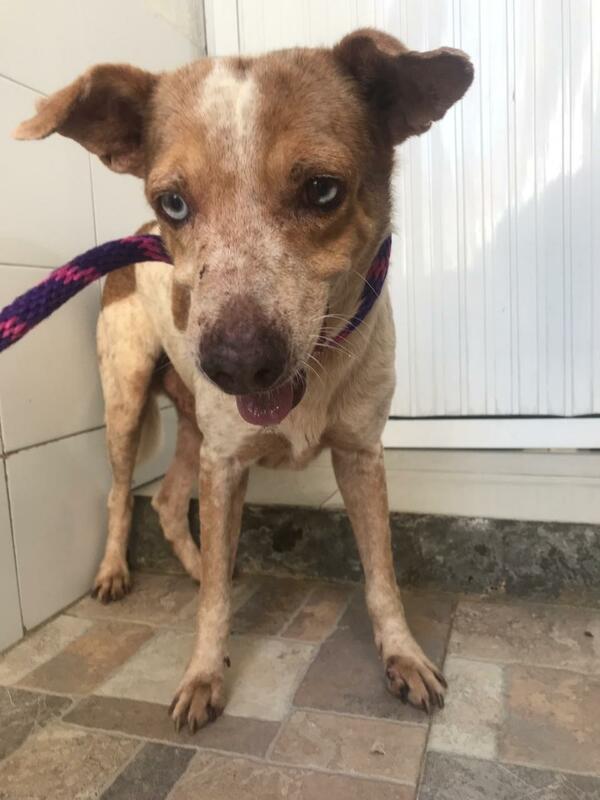 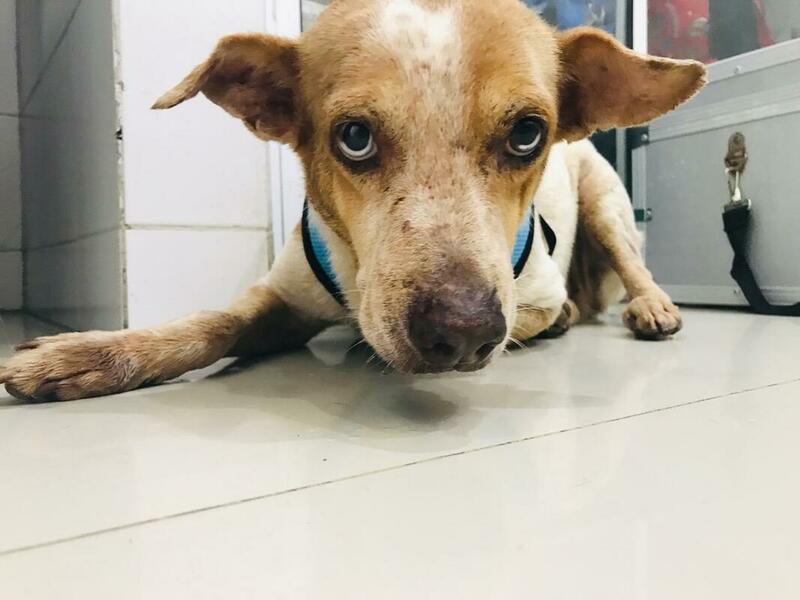 Lesley and Ray (Gabe's Rescuers) reached out to Cartagena Paws for help, and got Gabe to a local vet named Dr. Camilo for a few months to begin his treatment, until he could later be transferred to Dr. Ximena for socializing. 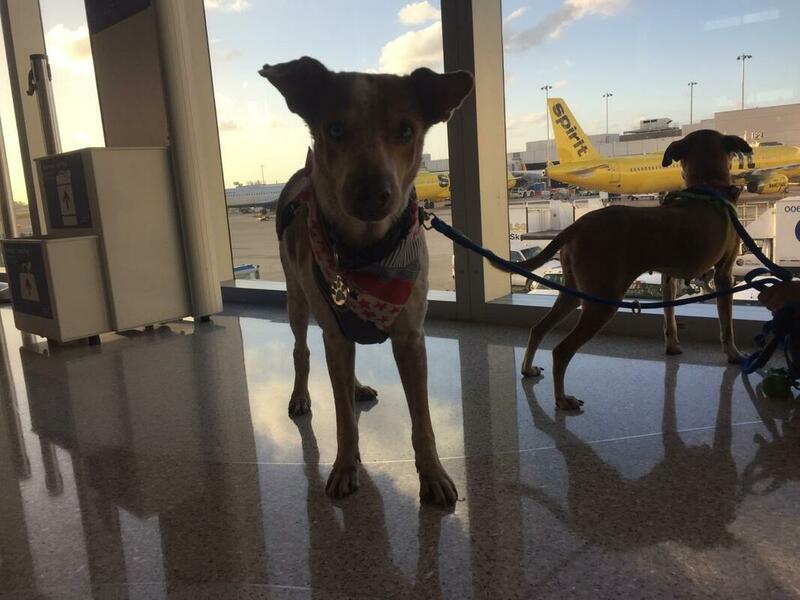 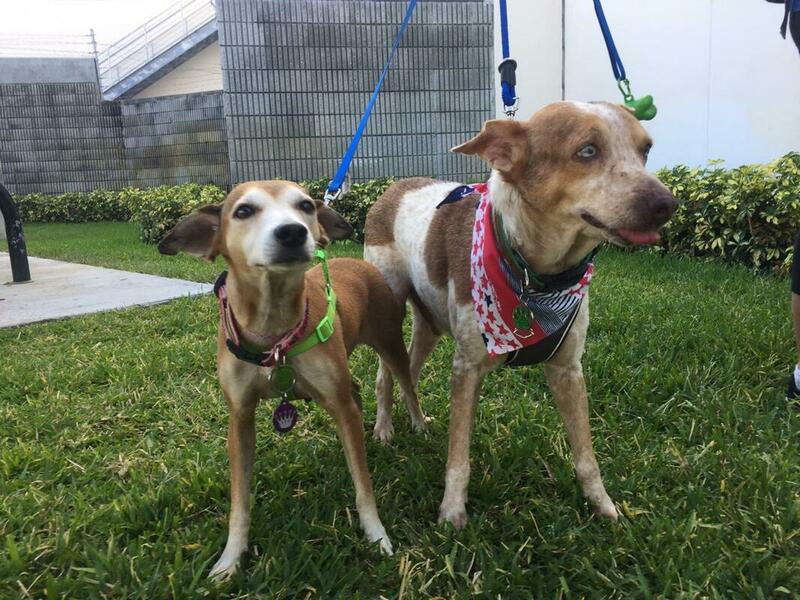 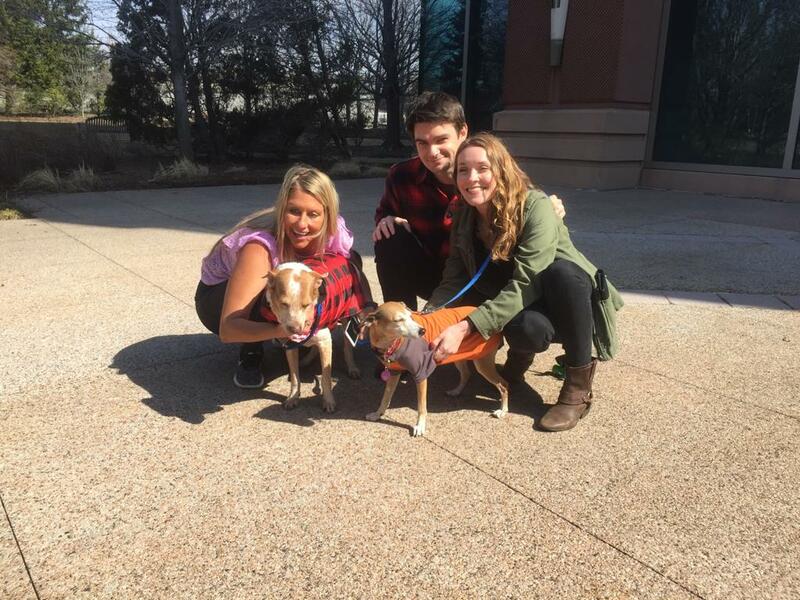 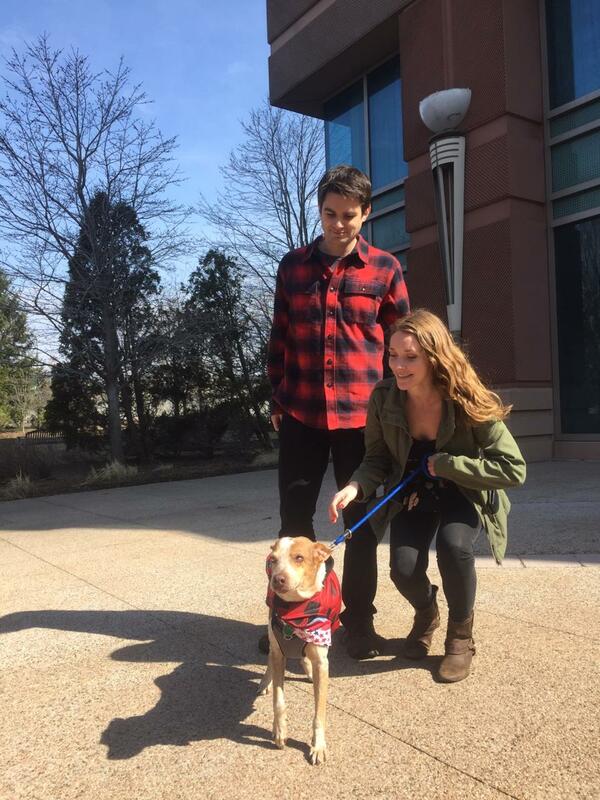 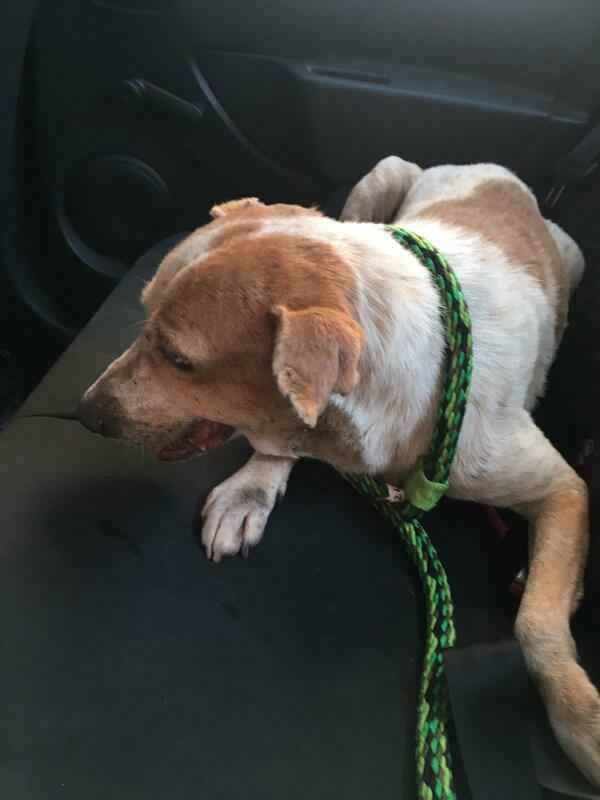 It was a lot of work to help he recover and then later socialize, however with the help of Dr. Ximena Perez and her staff at Dog Center, in a few months, Gabe was ready for his new life in the States with Ray and Lesley in Maine!